Starting with nothing, players must fight to locate weapons and supplies in a battle to be the lone survivor. Search for weapons, stay in the play zone, loot your enemies and become the last man standing.BUT be afraid of the shrinking zone, it does significant damage! Jump out of the plane into any of the locations - night ford, warehouse, power station or rural area. 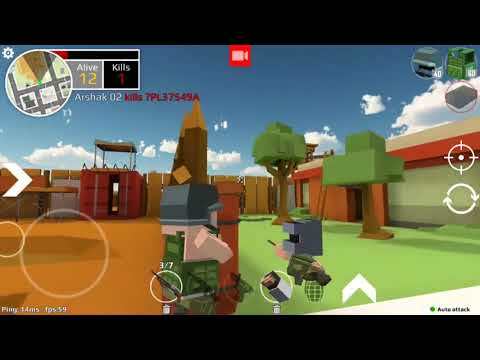 Shoot with AK, pixel gun, smg, multiple-barrel and other weapons. BE THE LAST lone survivor! - Auto shooting: you don’t need to push the shot button, all you have to do is just pixel combat and attacks to fort with enemy. - Team battle: play with friends in squad game mode up to 4 players! - Massive map size: big island this is the place where you have to survive while you plaiyng in the block city. We have more than 40+ players in the same map in the multiplayer online shooter! 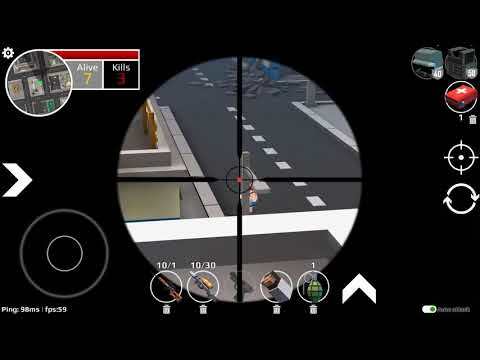 - Battle in Online Multiplayer Games: Intense PVP gameplay against players around the world! - Guns will randomly appear, so search the ground thoroughly! Survive by collecting more guns so you have an advantage over other players. - Huge arsenal of various weapons: huge military arsenal such as AK, minigun, sniper guns, pixel gun, smg, pistols and so on. Start the end of the world, with pixle gun! - Skins for every taste: skins looks absolutely perfect, just like in true 3D block city survival games, you can purchase any pixel block skins! - Search secret places! Find royal weapons like flamethrower and pixel rocket launcher! - Win only one! This royal battle, optimized for a quick game on the phone. Our pixel battles go no more than 10 minutes! - Multiplayer game is absolutely free online game for download. - Easy, intuitive control. You will not notice how hours and dayz will fly by while you playing the pixel shooter.